"As the keeper of 417 park units, 23 national scenic and national historic trails, and 60 wild and scenic rivers, the NPS is charged with preserving these lands and historic features that were designated by the nation for their cultural and historic significance, scenic and environmental worth, and educational and recreational opportunities. Additionally, the NPS further helps the nation protect resources for public enjoyment that are not part of the National Park System through its financial and technical assistance programs." Their FY 2018 budget justifications document also reports a $12,000 year-over-year decline in Yosemite National Park's operations and maintenance costs. So while the Interior Secretary attempts to characterize the price increase as something more than a money grab, the devilish details interfere with the narrative. While many adventurers are livid about the hike in admittance fees, others specifically charge government with the responsibility of funding everything parks-related. Of course, the United States government already allots more than $3 billion annually to the National Park Service for the purposes of park protection and preservation, while still further supplemental sums are extended to the parks through state conservation grants. 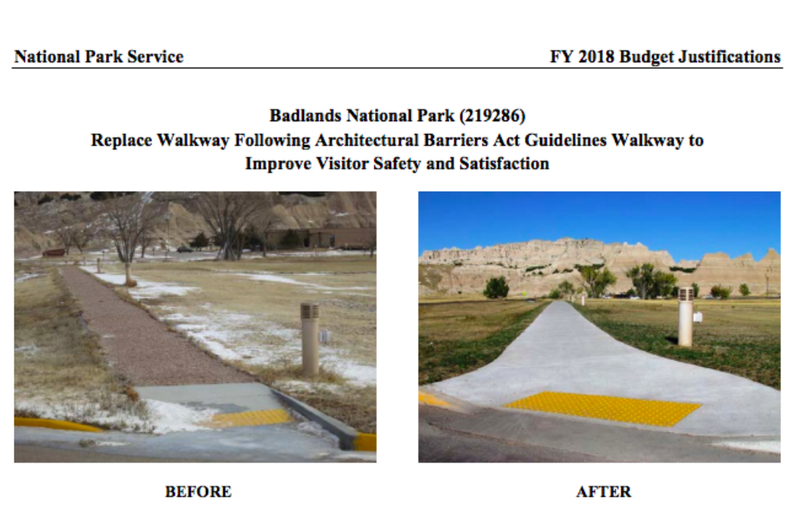 And while the average taxpayer simply assumes that protection and preservation imply efforts of the mightiest importance, the National Park Service merely continues to spend frivolously on projects as trivial as the replacement of a dirt path with a concrete walkway. If only the prices of these projects were as trifling. So government clearly has a problem spending money effectively, and yet some of its constituents believe that the government ought to simply fund the parks outright and eliminate entrance fees to the public. Now, this argument is failed from the start. People tend to myopically assume that government can magically pay the cost to render services, or even goods, free to the public. 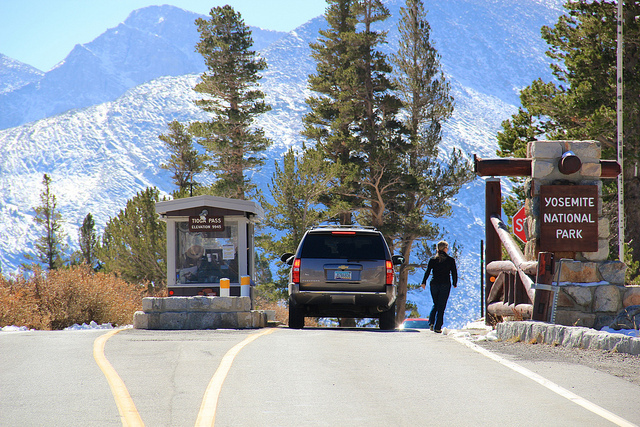 In the case of national parks, voters often lament the climbing entrance fees, urging the nebulous abstraction of government to shoulder the burden in order to somehow relieve the public of this cost, as if through magic. Of course, the government has no capital of its own; it has only that which it takes from private producers and employees. So the public can pay on either the basis of use or the assumption of responsibility. Of course, the latter being involuntary necessarily qualifies as a form of slavery, so be sure to reconcile that before rushing to judgment. What's more, an assumed responsibility yields disproportionate advantages to proximate travelers and those with an appetite or capacity for travel, while those who are remote, uninterested or incapacitated are systematically enslaved for the specific benefit of a select fraction of the population. This is hardly consistent with the unequivocal Constitutional precept of general welfare, which justifies initiatives that inclusively and proportionately promote the interests of all citizens of the United States. So clearly there are both ethical and Constitutional supports against the tide which favors comprehensive federal funding for all national parks, but what about the economic case? Well, in the case of identifying the appropriate price for any good or service, it is absolutely essential to first determine the value of said product, and this can be accomplished only through the voluntary probing of the market, whereby individual actors cooperate voluntarily to reach an agreeable price for a given exchange. Only through this mechanism can we purely appraise the market value of given property and the labor which maintains it; otherwise, the entire system collapses into shoddy guesswork and prices which prioritize specific and inauditable political interests over those whom the parks purport to serve. The 134-percent entrance fee hike also begs the question, what exactly are these funds expected to accomplish? If merely an identical maintenance schedule or itinerary of typical talking points, the increase seems to achieve nothing more than lining the pockets of workers who will eventually discover another way to do less with still more, and so on and so on. Perhaps these national parks ought to be returned to the people, away from the opportunists who exploit their adherents in the name of civility and propriety. Perhaps these national treasures might then attract the treatment they very well deserve, and then and only then might freedom be restored in the nation which markets it so well before delivering a radically inferior and disappointing knock-off.